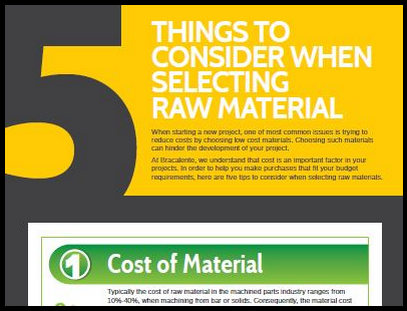 Don’t forget to grab our guide, The Power Of Material Selection: Selecting the Right Material for Your Project, for more helpful tips and information on raw material selection. Have more questions? Bracalente would be glad to assist you with any of your material questions – contact us today!